Colored end tab folders feature the Shelf-Master Reinforced Tab. Straight cut tab is 1/2" wide and reinforced for frequent use. Use colors to indicate various types of files, such as different types of insurance policies or to identify special patients at a clinic. 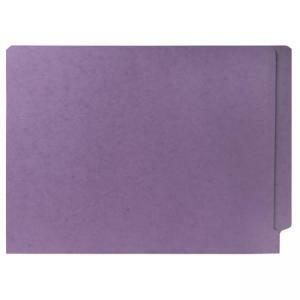 Folders are scored for 3/4" expansion and made of 11 point colored stock.